Either you are born with a good memory or you’re not .But that’s not the case. The truth is you can learn a set of simple, but extremely powerful techniques that you can apply every day in your life , in your studies or in your career,which can take your memory to levels achieved only by memory experts until now. And, that’s why I am here! You may be asking yourself : Why should you choose me as your guide for this learning adventure? In the first part of this course ,I will teach you the most important 9 memory techniques, explained in an easy-to-understand manner , with a lot of examples. Then ,in the second part , you’ll get the chance to apply what you’ve learned , through various practical activities. Finally ,I will teach you how to memorize a whole DECK OF PLAYING CARDS. 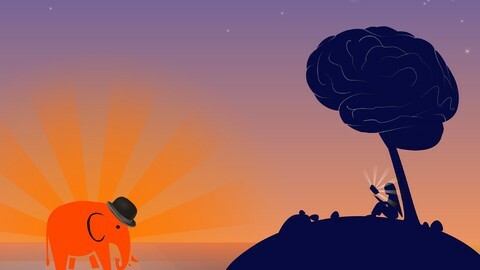 This course will take you on a journey of self-discovery, showing how to develop your memory full potential, and how to use it effectively in your daily life.If you consistently apply the memory techniques presented in this course, in addition to improving memory, in just a matter of months, even weeks, you will notice an improvement in the overall quality of your life. 5.7. Let’s Memorize a whole Deck Playing Cards!